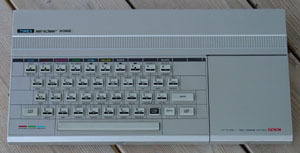 Go to the Timex Sinclair 1000. The 2068 was the most mature of the Sinclair line. 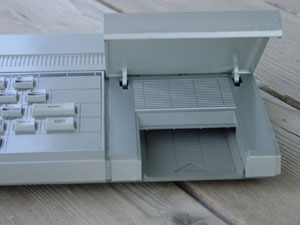 Not only did it have color and audio capabilities, but it also had more memory (32k) and expansion capabilities via a cartridge port and joystick ports. This machine, too, was Z80 based, although designed around a Z80A. I acquired one of these rare beasts as of 2001 (from the Austin, Texas Goodwill Computer Works for $10) and have written some simple Basic programs for it. It's quite an enjoyable machine to use!